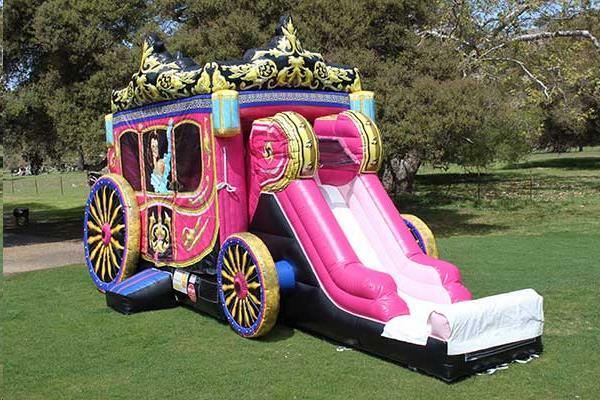 This bounce and slide combo is perfect for any young royal entourage. This combo features a bouncing area, amazingly-detailed digital graphics, a crawl-through, and slide area; all with child-proof finger-safe netting. * Please call us with any questions about our inflatable princess carriage rentals in Columbia and Jefferson City MO.